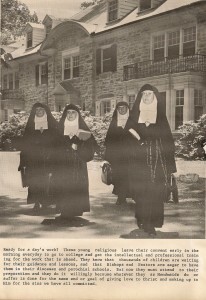 The retreat center in Haverford became a place of refuge for many. 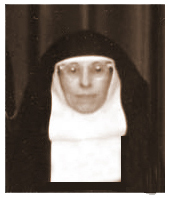 The first director of the center was Sr. Philomena Monte (pictured below). Days of prayer for adults and young people became quite popular, as did overnight stays and weekend experiences. The Blessed Raphaela Retreat Center was open to all to share the opportunity to contemplate the word of God, and amid quiet solitude, discover a sanctuary of peace, hope, and love. The caption to the newspaper photo at right reads. 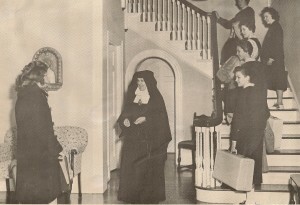 “Mother Ruth Nicklos, Handmaid, greets a group of girls who are coming for their weekend retreat. She will make sure they are happy and have everything they need. The other sisters, too, will be carrying out things smoothly and silently as part of the normal routine in the retreat work. This is a MUST if Christ, present in the Blessed Sacrament, exposed in the Handmaid chapel, is going to speak to their hearts. And He always does. The Handmaids always have daily exposition wherever they go.” Today, Saint Raphaela Center (renamed when the saint was canonized) continues in its ministry much the same as it did more than fifty years ago. 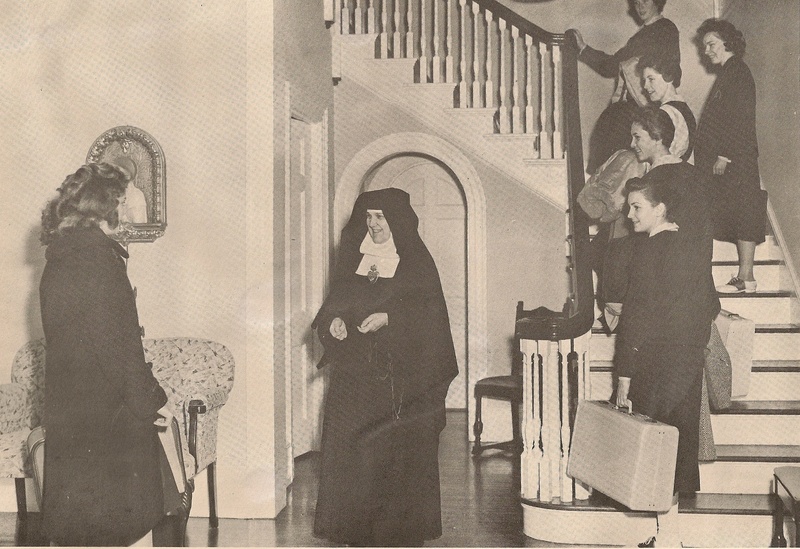 With an influx of young women who were entering the novitiate, the center also became the Juniorate (house of studies) for the Handmaids. 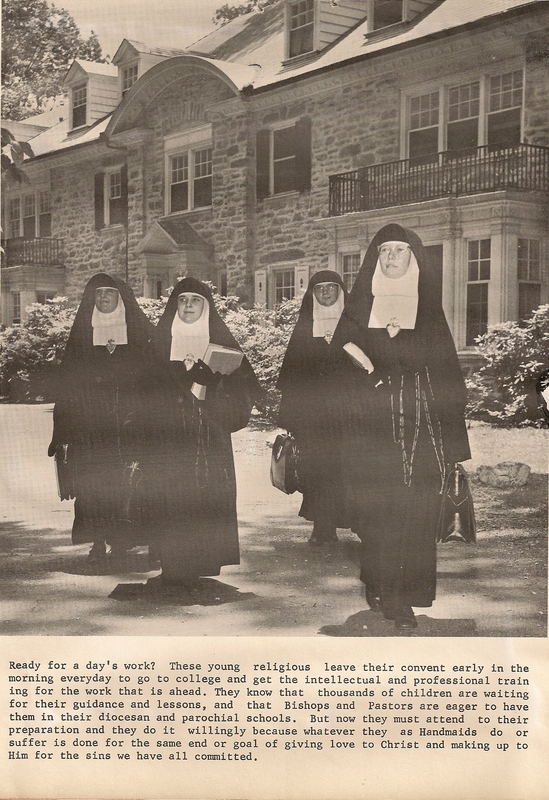 Pictured at far left is Sister Kathleen Helbig and at far right is Sister Kayjoy Cooper as they begin their day heading off to their college classes.